We all love breakfast. 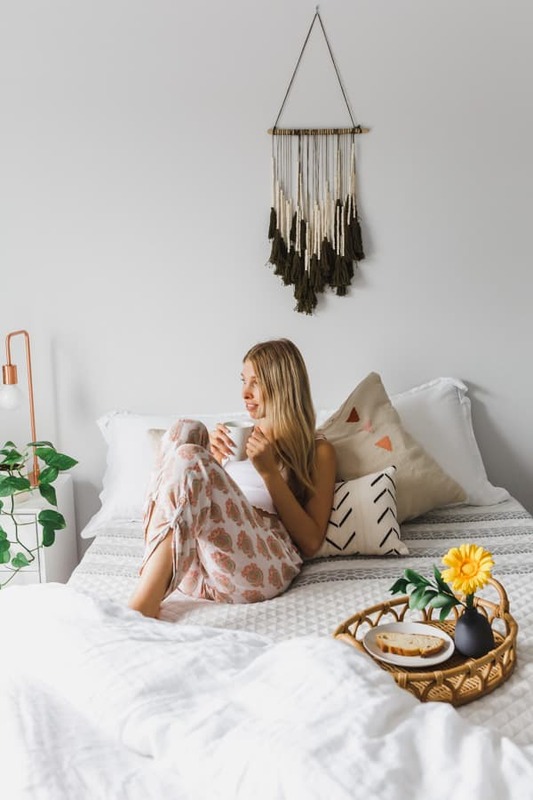 And with all the buzz around self-care routines lately, there’s no better way to take care of yourself than enjoying a slow morning with breakfast in bed. This post is sponsored by Leesa, who today (10/10) is increasing their impact in honour of World Homeless Day. If I had to choose a favourite meal of the day, I’d most definitely have to go with breakfast. 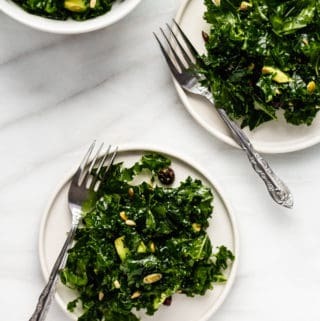 Besides the fact that there’s nothing more motivating than waking up to eat, breakfast is a time that I like to take to myself to relax and enjoy before the hustle bustle of the day starts. 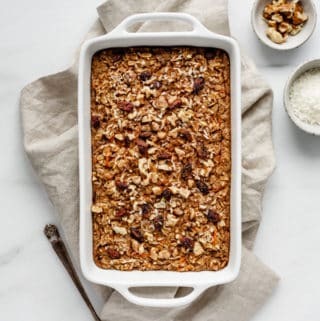 Taking time to enjoy breakfast is kind of like a self-care routine on its own, but throw a big comfy bed in the mix, and now we’re talking ultimate self-care! 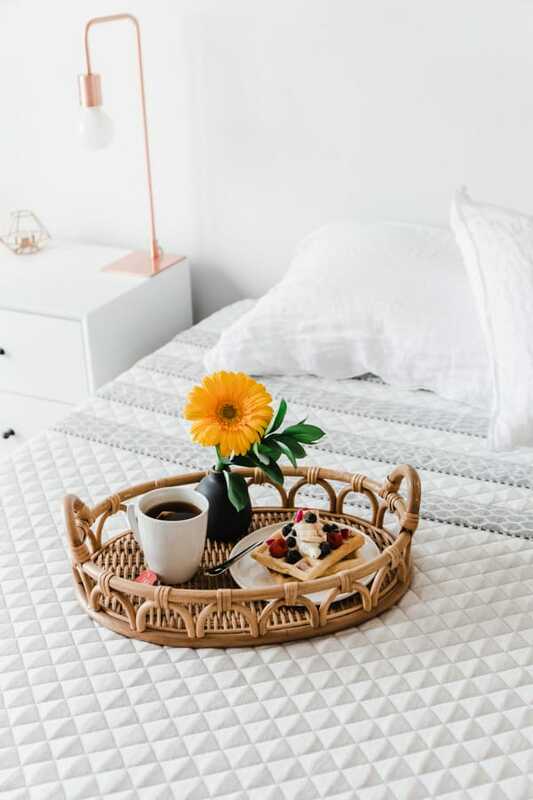 Now I know during the busy weekdays most of us don’t really have the time to leisurely spend the morning in bed, but if you’re looking for a relaxing self-care activity for the weekend, (to enjoy on your own, or with a loved one) breakfast in bed is a must! There are two elements that are essential to creating the perfect breakfast in bed. The breakfast…and the bed. Nothing feels better than having a comfy bed to snuggle up in and leisurely enjoy breakfast. And this all begins with a good Mattress. 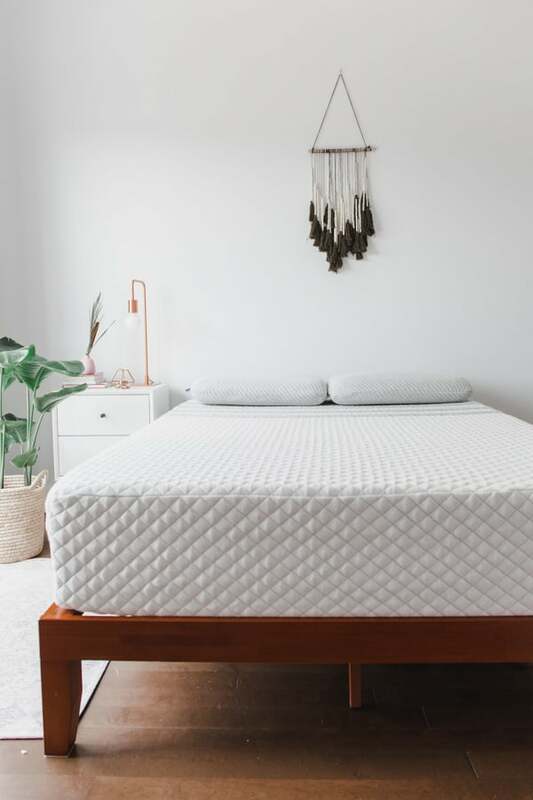 I’ve been using the Leesa Sapira mattress for about 3 months now, and besides improving my overall quality of sleep, It’s helped create my bedroom sanctuary where I love to spend time to wind down & relax. I try and avoid doing any work in my bed, (I save writing blog posts for my couch or desk!) so I can keep the space stress-free and just use my room for when I want some rest & relaxation. On weekends, I like to take some extra time in the mornings to rest in bed and have lately become obsessed with enjoying breakfast in bed. (Cuz who needs to eat in the kitchen on weekends anyway!) It’s the perfect hygge activity if you ask me! There’s nothing better than enjoying a slow morning and taking that extra time to stay snuggled up in my comfy bed. 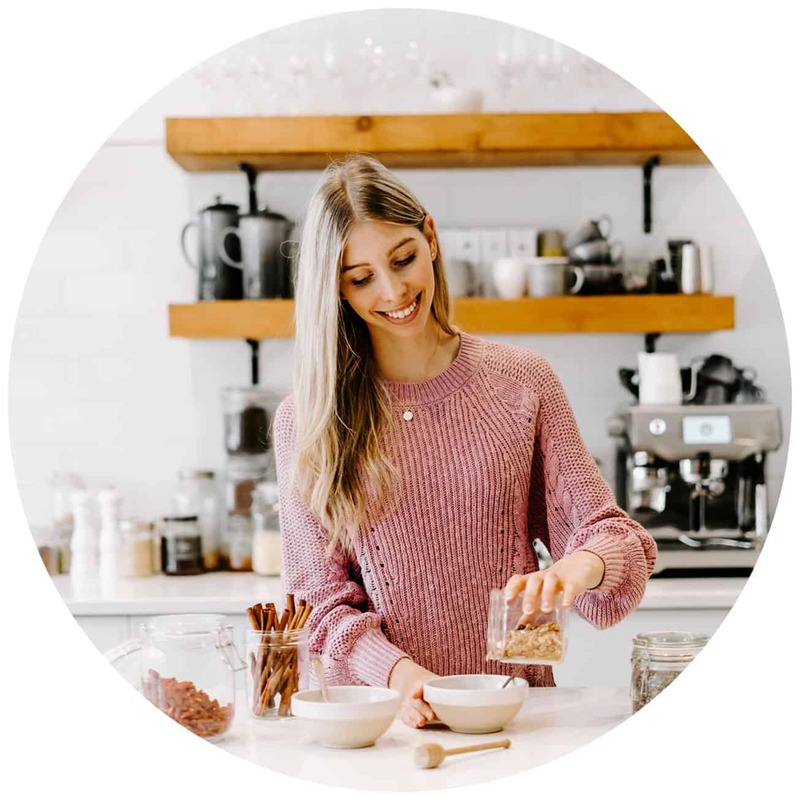 I’ve partnered with Leesa today to show you how to create the perfect breakfast in bed so you can enjoy some self-care in the comfort of your room. 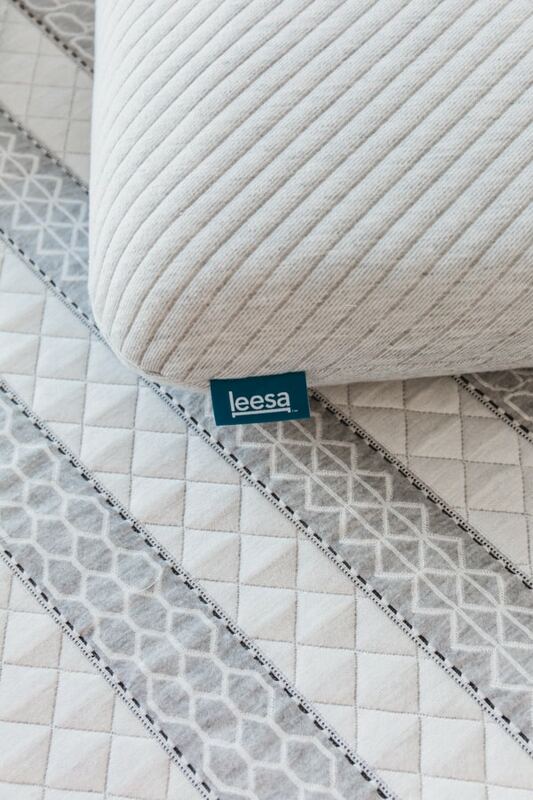 Go grab yourself a Leesa mattress (they’ll deliver it right to your door in a compact box!) and let’s get started on some tips & tricks to make the perfect breakfast in bed! Before we get to the food, you’ll want to make sure you have a nice zen space where you’ll actually feel relaxed in. A clear space leads to a clear mind. 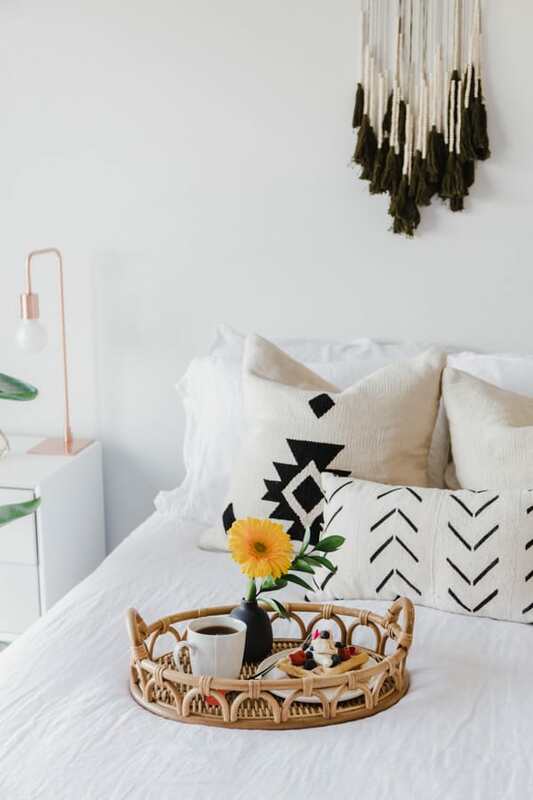 So make sure to give your room a little tidy up to create a space that will leave you feeling relaxed! Candles, essential oil diffusers and fresh flowers are all great options for setting the mood for your space. Candles naturally leave you feeling cozy, and essential oils can make you feel relaxed as can be. Big knit socks, Extra pillows, blankets…go crazy! 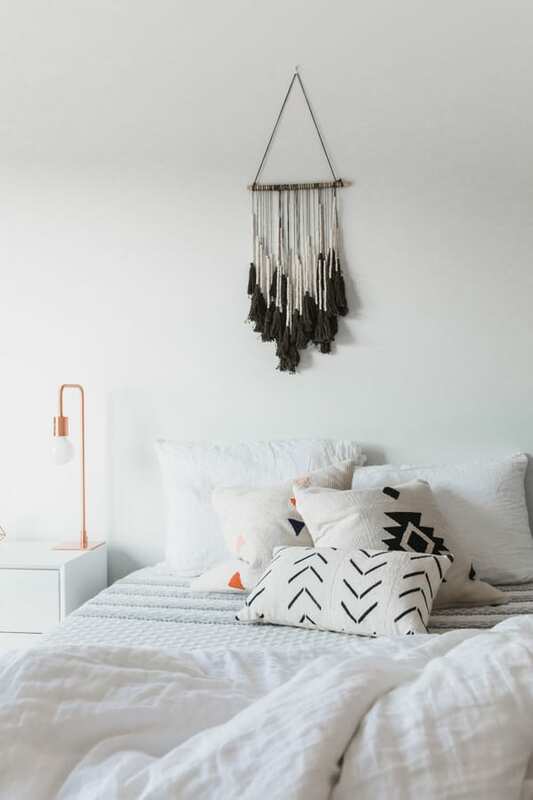 Whatever will make you and your bed feel extra snuggly. And last but not least prepare your breakfast! 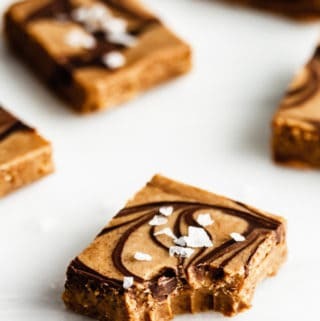 For this, you can either go a little fancier and make some waffles or pancakes or keep it simple with some fresh pastries and jams. 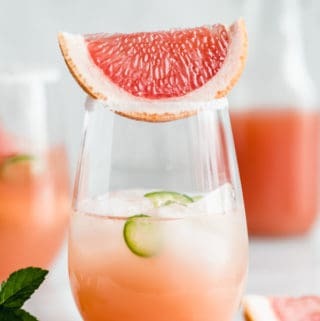 Make a pitcher or coffee or tea, and then add some fresh fruit on the side and your good to go! And of course…the food itself! It’s so important to remember to take time for ourselves and slow down sometimes. Breakfast in bed is the perfect activity to really spend that time just being present and being in space where you can feel at peace. The picture of mango is my fave , btw ? Thanks so much Bianca! We love hanging out in bed and having breakfast in bed. Especially Mango..she tries to steal all the food! Thank you Ela! Nothing we love more than cuddling up in bed! I need to send this post to my husband so he can create the perfect breakfast in bed for me, lol! 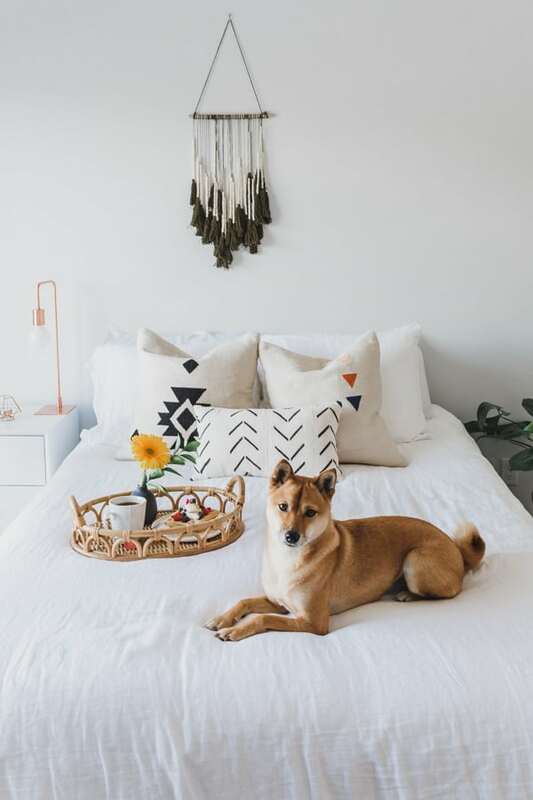 I love your decor (including your foxy shiba) and that mattress sounds lovely too!